Menegroth - The first great Elven realm of Middle-earth was the Sindarin kingdom of Doriath. 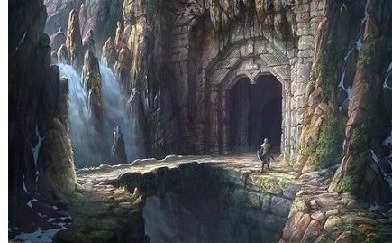 When the Sindar broke off from the rest of the Teleri, they settled in the highlands of Beleriand. There along the Esgalduin River was built the glorious capital of Menegroth. But not by the Sindar alone. It was a mountainous region and they employed their newfound friends, the Dwarves, to dig into the living rock.